Project Partners take responsibility to help our clients save money and ensure they make the right decisions when setting up a commercial space in Dubai. Since 2009, they provide premium turnkey solutions for commercial interiors and fit outs including office, F&B, and retail. Their expertise has enabled them to build an enviable portfolio including globally recognised brands including Reebok, Expedia, and Boeing. Project Partners asked us to deliver user insights to help refine the customer experience journey through their web proposition. Their target audience were primarily businesses setting up a commercial space in Dubai. Although Project Partners had a wealth of knowledge and feedback from numerous clients and previous projects, they were keen to discover the pain points their clients experience from the time in seeking out a commercial space, to being ready to open for business. Following a competitor research exercise, it became apparent that Project Partner's competition along with themselves were all communicating in the same way. Key messages were created by using the Golden Circle Rule to define WHY Project Partners do what they do and to communicate from the inside-out rather than the outside-in. 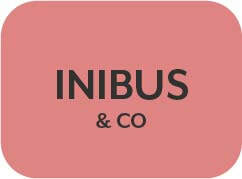 Project Partners asked Inibus & Co to deliver user insight to help refine their customer experience journey through their web proposition. We conducted seven one-on-one interviews with Project Partners' past, current and prospective customers who were involved as influencers and/or decision makers. This allowed us to gain further insights in users’ behaviour and understand their feelings and perception of project management companies in general, All information was analysed, resulting in a problem analysis, communication flow chart and empathy and customer persona development and key scenarios. We identified that each persona had different pain points and motivators that were not being addressed at various points of the customer journey not only through the current website, but also throughout the sales funnel. We identified the type of information that users were looking and conducted a card sorting exercise with users to ensure that the information would be seen at the right place and at the right time, resulting in an information hierarchy diagram to map out what information users were expecting to access, and how each should be related to each other. Wireframes, prototypes and a revised visual style guide were delivered to Project Partners in order to help them improve their current website offering.